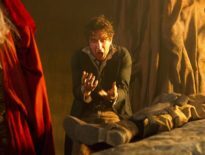 In 2005, Doctor Who returned with Rose and the phenomenon continued. In 2016, The Doctor Who Companion officially began, on this very day – 26th March. Oh yeah, that was no coincidence. Allow us a brief indulgence then, because we have some folk to thank and the future to look forward to. Our first shout out is to you. Our dear readers. Thank you for sticking with us – whether this is your first visit, or your 1000th, we really do appreciate you reading the DWC. Indeed, you’re a major part of the community here, so equally, if you’ve never commented before or if you’re a regular, please do consider leaving your thoughts on any of our articles. Thanks for being patient while we iron out ever-persistent creases. Andy’s wonderful when sorting techie things, but at the end of the day, we’re both writers who set up the DWC because we want to publish great content – neither of us got into it because we wanted to learn more about SSL certificates (please, no one mention TSL to us). The second thank you is to Andrew Reynolds, the DWC’s co-founder. There’s no way on Earth I could do this without you, mate, so thank you. Have a metaphorical drink on me. Seriously, it’s amazing how kind, thoughtful, and witty Andy is, and what’s more, he doesn’t even realise it. His support means more than he’ll ever know. And of course a big thank you to all our contributors! I won’t name any of you individually as it would feel unfair to do that, considering the amount of effort and love you’ve lavished on the DWC – frankly, we’ve got so many writers on board, this article would soon become a listicle – but please know you make the DWC what it is, each and every one of you. Cheers, me dears. Saying that, we’re always looking to expand the team. The DWC encourages all points of view (well, the respectable ones, at least), and wants to shine a light on all sections of fandom. If you’re a writer interested in contributing, please do get in touch by sending us an email on doctorwhocompanion(at)outlook.com! Apologies, too, to anyone who has contacted us by email or through social media and we’ve not responded yet or not responded quickly enough. The truth is, we’ve got a lot to juggle and sometimes, things slide by. We’ve all got work to do away from the DWC and if we want this ship to keep sailing, our day-to-day business has to take priority. Oops. Apologies. We aim to get better; honest, guv. Saying that, we also aim to get at least two new articles on the site per day, which we’re pretty proud about. Day-to-day business has to take priority, but giving readers new content as frequently as possible nonetheless takes precedence. With that, we should really clue you in on the future of the DWC. In case you’ve not noticed, we’re continuing our themed weeks, but not all the time. It’s quite a challenge to culminate top-notch features and reviews all day, every day. Instead, for 2018, we’re trialing the idea of having one month of themes (kicking off on the first Monday of each month, running for four weeks, and concluding on a Sunday), one month without. That doesn’t mean the latter will be bereft of content; indeed, March has been a month without themes, and we’ve still delivered two pieces a day, mostly news but also reviews and features. So please don’t feel that there won’t be something for you when you click on the DWC. 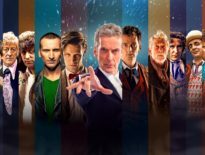 Doctor Who has once more split fandom, and no one quite knows where the TARDIS will go next – but here, we aim to have something for everyone. Not a fan of one theme? Don’t worry, another will be along imminently. 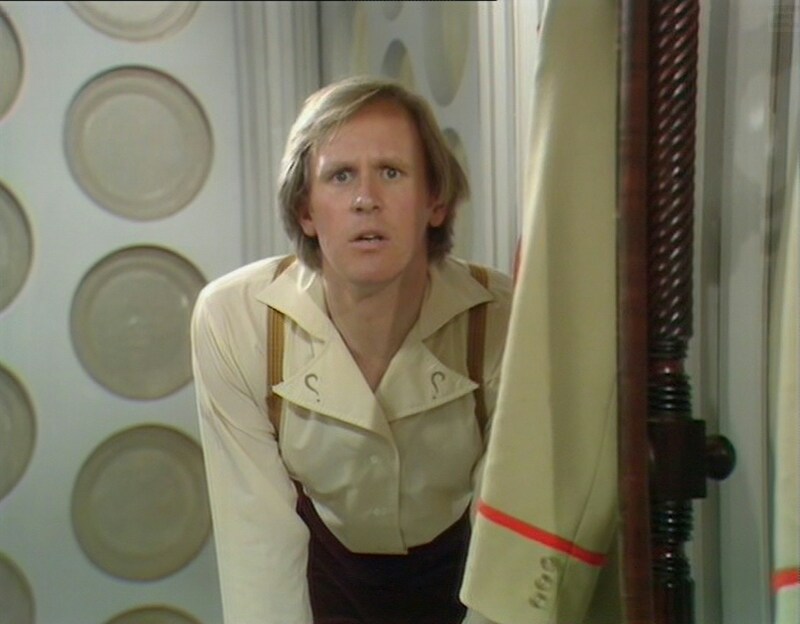 In case you’re wondering, April kicks off with Fifth Doctor Week. February saw the spotlight turn to the First, Second, Third, and Fourth Doctors, and we’ll be continuing our examinations of each Doctor’s eras right up to, and including, the Thirteenth Doctor. Beyond that, we obviously have more themes planned, but we won’t let the cat out the bag just yet. In fact, Andy and I have just spoken about our plans for Christmas. No, honestly, we have! One final point to note then: the comments section has sometimes devolved into a minefield, and while we encourage discussion on all topics, please please be civil. No matter people’s opinions, no one should be called names, or have verbal abuse hurled at them. The Internet is a wonderful thing, but we do tend to forget that all its users are actually human, that we all have feelings, that we’ve all had bad days before and will have them again. 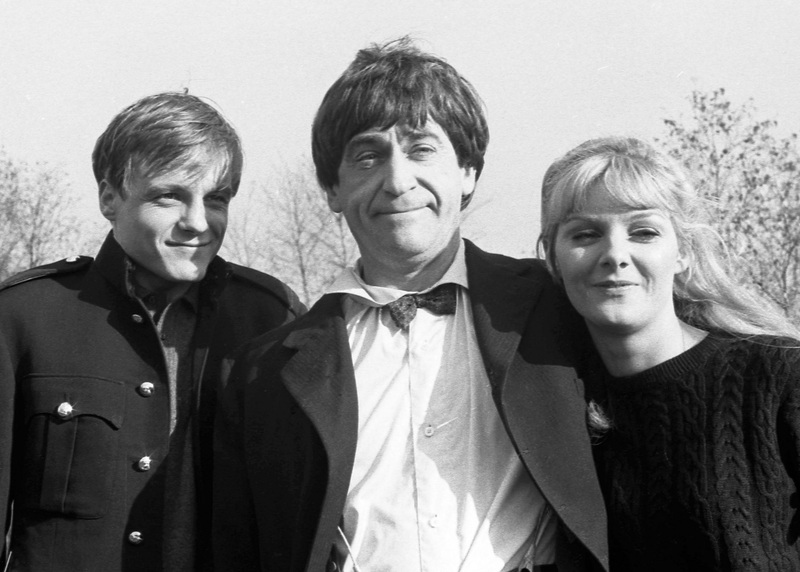 Doctor Who, and by extension The Doctor Who Companion, should be a welcoming thing. We may create a comments policy for everyone to adhere to sometime, but until then, let’s live by the word of the Doctor and just be kind. Thank you, my friends. Onwards!